2018 Tige R23 w/ Raptor 400 Motor! Only 23 Hours! One glance and you know the Crossover Nautique 216 comes from a long line of quality ski boats from Correct Craft. One test ride and you’ll discover it also hands you lightning-quick acceleration, smooth direct-drive performance and handling, plus plenty of family-friendly storage. The Crossover Nautique 216 can be outfitted to match your family’s precise watersports needs. Right off the showroom it’s a superior ski boat. For the novice wakeboarders in your family, add a Flight Control Tower®. And to put a smile on the face of those who like to catch serious air, opt for the available ballast tanks. Storing all that gear is easy in the 216. 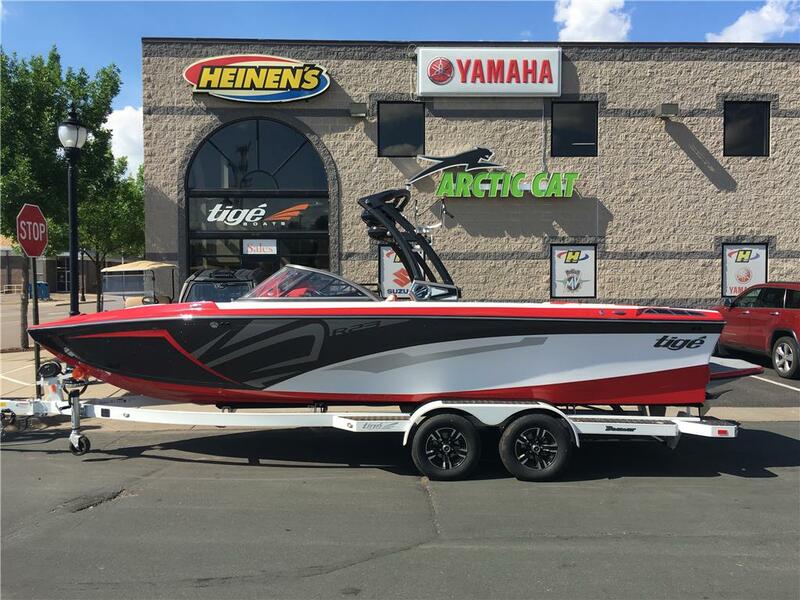 Stow the wakeboards and bulky gear under the loveseat, and slip water skis up to 70 inches long in the aft trunk, conveniently accessible right from the boarding platform. Correct Craft quality, performance, versatility and value. Now that’s a crossover towboat at its finest. Max Factory Ballast Capacity..................................308 lb.